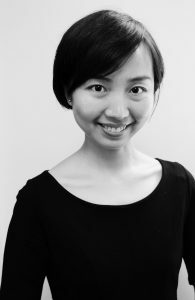 Jude Jiang is a young filmmaker, with experience in script development, script analysis and screenplay translation with both local Chinese and international productions. Born in Hangzhou and educated in Shanghai, Jiang graduated college with a bachelors degree in International Journalism with a thesis on creating public communication through film medium, international film production methodology and applicable lessons for developing the Chinese film industry. Upon graduation, her first job was working with international crew and talent on a production in Hengdian Movie World. With the several years of working in film industry in Beijing, Jiang has been developing skills for script analysis and development. She worked with the US/Taiwan writer/director Arvin Chen (“Au Revoir Taipei”) and Chinese director Eva Jin (“Sophie’s Revenge”) to develop story arc, character designs, three-act treatment and feature movie screenplays. Jiang gained invaluable experience coordinating international productions including international producer DMG. She coordinated with CFCC-SARFT to get the shooting and distribution permits for “Iron Man3” and “Looper” and worked on several local Chinese productions. She took the lead role in the production team of the short film “Analysis” with director Richard Trombly, the founder of Obscure Productions, and Taiwanese cinematographer Jeffrey Chu. From this independent film about Asperger Syndrome focusing on a teenager’s world filled with beautiful fantasies, she gained an interest in editing and VFX works kicking off her partnership with Crashdown Studio. She has been involved in the VFX development of Analysis and now applies her specialty to content in development at Crashdown Studio.